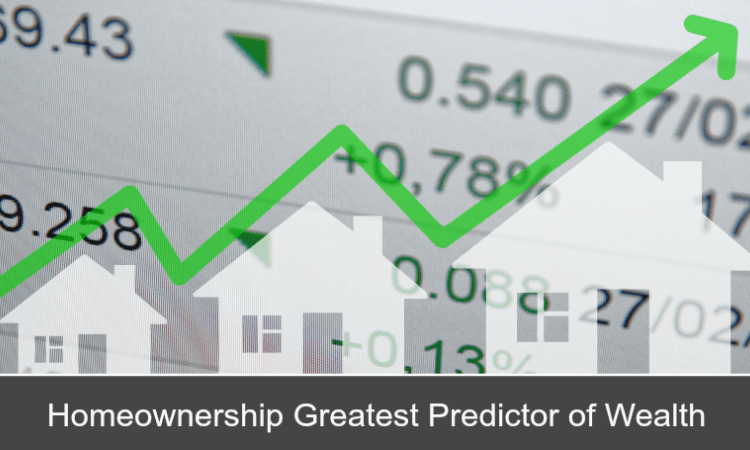 According to the Survey of Consumer Finance, homeownership is the primary driver of wealth in the U.S.
A recent Seattle Times article reported that the median net worth for Seattle homeowners is about 25 times higher than those who rent. Since 2000, homes in the Seattle area have appreciated at an average annual rate of 5.6 percent. The real estate market, like the stock market, ebbs and flows as values go up and down over time. While real estate prices here dropped during the housing crisis, they have far exceeded average appreciation for the past few years. The same cannot be said for the stock of many companies that imploded when the dot-com bubble burst. As an investment, a home benefits from leveraging. Equity in a home appreciates based on the entire value of the home. This includes the money you’ve paid as well as the money you’ve borrowed. For instance, rather than earning appreciation on the $70,000 down payment you made, you build equity on the full $700,000 value of the house even though the bank financed most of it. We can help you negotiate the best possible terms on the what will probably be your greatest single asset. Ready to sell your home, or wonder how much equity you have? We can provide you with a market analysis of homes that have recently sold in your neighborhood and help you plan for a future sale. 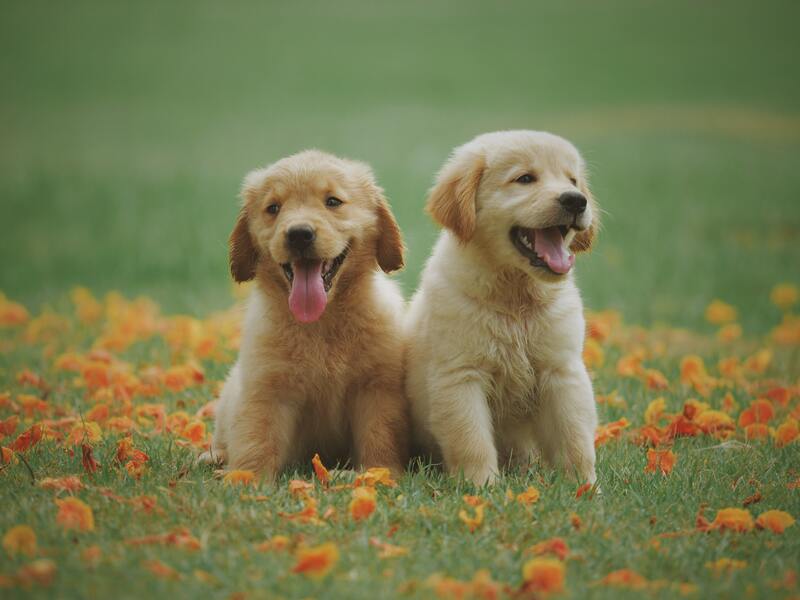 Make sure to let us know upfront that you have a canine member of your family to consider during the house hunt. If there are certain “musts” such as a fenced yard, or proximity to veterinary services, be sure to put that on the table upfront to help us find a home that works for you and your furry friend. This post originally appeared on the Windermere Blog. Whether you’re thinking of buying or selling we can provide you with market data that will help you make the best decision for your circumstances. While the differences between older and newer homes are striking, there’s certainly no right or wrong answer. It is a matter of personal taste, and what is available in your desired area. To quickly determine which direction your taste trends, use the information above to make a list of your most desired features, then categorize those according to the type of house in which they’re most likely to be found. The results can often be telling. When dissatisfaction with your current home strikes, it can be exciting to launch into a plan for a new addition. A new living room, bedroom, or more can add value to your home while improving your quality of life. On the other hand, even a modest addition can turn into a major construction project, with architects and contractors to manage, construction workers traipsing through your home, hammers pounding, and sawdust everywhere. And although new additions can be a very good investment, the cost-per-square-foot is typically more than building a new home, and much more than buying a larger existing home. To determine if an addition makes sense for your particular situation, start by defining exactly what it is you want and need. By focusing on core needs, you won’t get carried away with a wish list that can push the project out of reach financially. If the addition will be for aging parents, consult with their doctors or an age-in-place expert to define exactly what they’ll require for living conditions, both now and over the next five to ten years. Bump-out addition—“Bumping out” one or more walls to make a first-floor room slightly larger is something most homeowners think about at one time or another. However, when you consider the work required, and the limited amount of space created, it often figures to be one of your most expensive approaches. First-floor addition—Adding a whole new room (or rooms) to the first floor of your home is one of the most common ways to add a family room, apartment or sunroom. But this approach can also take away yard space. Dormer addition—For homes with steep rooflines, adding an upper floor dormer may be all that’s needed to transform an awkward space with limited headroom. The cost is affordable and, when done well, a dormer can also improve the curb-appeal of your house. Second-story addition—For homes without an upper floor, adding a second story can double the size of the house without reducing surrounding yard space. Garage addition—Building above the garage is ideal for a space that requires more privacy, such as a rentable apartment, a teen’s bedroom, guest bedroom, guest quarters, or a family bonus room. You’ll need a building permit to construct an addition—which will require professional blueprints. Your local building department will not only want to make sure that the addition adheres to the latest building codes, but also ensure it isn’t too tall for the neighborhood or positioned too close to the property line. Some building departments will also want to ask your neighbors for their input before giving you the go-ahead. Special permitting—Some communities don’t like the idea of “mother-in-law” units and therefore have regulations against it or zone-approval requirements. Separate utilities—In many cities, you can’t charge a tenant for heat, electricity, and water unless utilities are separated from the rest of the house (and separately controlled by the tenant). ADU Requirements—When building an “accessory dwelling unit” (the formal name for a second dwelling located on a property where a primary residence already exists), building codes often contain special requirements regarding emergency exists, windows, ceiling height, off-street parking spaces, the location of main entrances, the number of bedrooms, and more. In addition, renters have special rights while landlords have added responsibilities. You’ll need to learn those rights and responsibilities and be prepared to adhere to them. The cost to construct an addition depends on a wide variety of factors, such as the quality of materials used, the laborers doing the work, the type of addition and its size, the age of your house and its current condition. For ballpark purposes, however, you can figure on spending about $200 per square foot if your home is located in a more expensive real estate area or about $100 per foot in a lower-priced market. You might be wondering how much of that money your efforts might return if you were to sell the home a couple years later? The answer to that question depends on the aforementioned details, but the average “recoup” rate for a family room addition is typically more than 80 percent. While you should certainly research the existing-home marketplace before hiring an architect to map out the plans, building an addition onto your current home can be a great way to expand your living quarters, customize your home, and remain in the same neighborhood. The yearning to move lives in the spirit of many homeowners, but that desire for something new is often at odds with what feels feasible. That sense of newness needn’t come from a dramatic uprooting, however. The great part about having a home of your own is you can make improvements and give your home a chance to evolve over time. You just need to help your home live up to its potential! We picked seven of our favorite improvements to help you make the most of your home. Find your home’s purpose. Each home is as unique as its owners, so in order to fully utilize your home, consider how you view your home’s purpose. Some people like to entertain, others find it a calm space in the frenzy of daily life; some nurture their families and others nurture their creativity. Your home’s purpose can be any combination of these and more, but it helps to consider the function of your space in order to ultimately find its purpose. Assemble a list. A list always helps me figure out where to start or prioritize what is the most important project. Think about what you want to change in your home, inspirations, and preferences. Make an “inspiration board”. An “inspiration board” is a great way to visualize your home’s decor. You can create a board online with a tool like Pinterest to organize ideas you love or you can do it the old fashioned way with a board, magazine cutouts, color swatches, and fabric samples. Doing this will allow you to see all the elements you like in one place so that you can then tie it all together into a room you love. Create a collection. If you have items that you like to collect, think about how to transform that collection into something you can display. If you don’t already have a collection of loved objects think about what this collection would be for you. You can center a room design around your travel souvenirs, old camera collection, figurines, unique plates, or familial objects. Adding to this collection over time can be a great way to keep your spaces new while maintaining a personal feel to your decor. Choose a new palate. Shake up your sensibilities and think of a color that will compliment your room while making a statement. It’s easy to fall into the white/beige standby to keep our rooms neutral, but sometimes a color that provides a contrast to your décor will make the room pop. Rearrange. Moving furniture around is another easy way to reinvent your space. Try placing your sofa on an angle to open up your entertaining room or move your lamps to improve lighting. You can also think about moving a piece of furniture into a room to give it new life, like using a unique dresser for a credenza or a chair as a side table. Find design motivation. Home design evolves over time and can be sustained by finding items that inspire you. Read magazines and books that inspire your interests in architecture, design, art, etc. Or find stores and flea markets that sell pieces that influence your aesthetic. Or bring a camera with you when you’re doing your favorite activities and bring back memories or inspirations. Most of all have fun! For more than 20 years, the benefits of staging a home have been well documented. Numerous studies show that staging helps sell a home faster and for a higher price. According to the National Association of REALTORS®, 88 percent of homebuyers start their search online, forming impressions within three seconds of viewing a listing. When a home is well staged, it photographs well and makes the kind of first impression that encourages buyers to take the next step. Studies also indicate that buyers decide if they’re interested within the first 30 seconds of entering a home. Not only does home staging help to remove potential red flags that can turn buyers off, it helps them begin to imagine living there. Homes that are professionally staged look more “move-in ready” and that makes them far more appealing to potential buyers. According to the Village Voice, staged homes sell in one-third less time than non-staged homes. Staged homes can also command higher prices than non-staged homes. Data compiled by the U.S. Department of Housing and Urban Development indicate that staged homes sell for approximately 17 percent more than non-staged homes. In a study conducted by the Real Estate Staging Association in 2007, a group of vacant homes that had remained unsold for an average of 131 days were taken off the market, staged, and relisted. The newly staged properties sold, on average, in just 42 days, – which is approximately 68 percent less time on the market. The study was repeated in 2011, in a more challenging market, and the numbers were even more dramatic. Vacant homes that were previously on the market for an average of 156 days as unstaged properties, when listed again as staged properties, sold after an average of 42 days—an average of 73 percent less time on the market. Staging is a powerful advantage when selling your home, but that’s not the only reason to do it. Staging uncovers problems that need to be addressed, repairs that need to be made, and upgrades that should be undertaken. For a relatively small investment of time and money, you can reap big returns. Staged properties are more inviting, and that inspires the kind of peace-of-mind that gets buyers to sign on the dotted line. In the age of social media, a well-staged home is a home that stands out, gets shared, and sticks in people’s minds. What’s more, the investment in staging can bring a higher price. According to the National Association of REALTORS, the average staging investment is between one percent and three percent of the home’s asking price, and typically generates a return of eight to ten percent. In short, less time on the market and higher selling prices make the small cost of staging your home a wise investment. Interested in learning more? Contact your real estate agent for information about the value of staging and referrals for professional home stagers. The value of a home is more than what it can be bought and sold for – it also lies in how it makes you feel. Security and comfort are vital components, as well as convenience; however, what many buyers are looking for in a home in 2018 are amenities that deliver a luxury experience. With that in mind, we decided to take a look at a few ways a home can add an “experience” that sets itself apart. In much of the country, an outdoor swimming pool isn’t that uncommon. The simple luxury of a private space for recreation can be the centerpiece of a home’s charm. 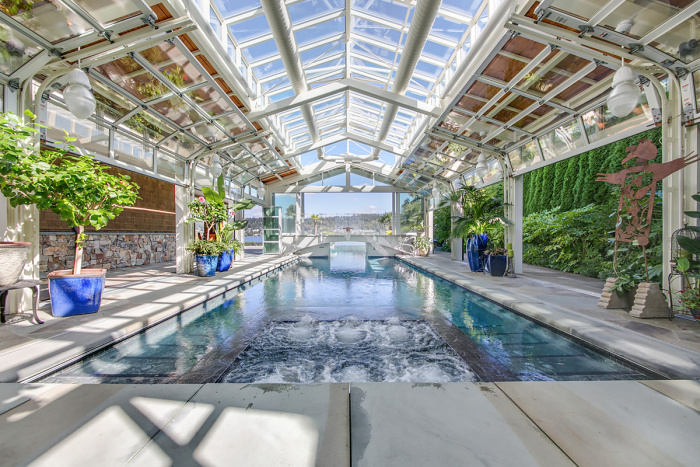 Expanding that possibility is the indoor-outdoor pool, which segments a pool into a covered, indoor region, as well as an outdoor area. Anyone who loves spending time in the water but lives in too cool a climate to use a pool year-round can enjoy an indoor oasis in the winter that flows seamlessly into an outdoor space in the warmer months. Who among us wouldn’t love a wine cellar? It’s an opportunity for self-expression that echoes back upon centuries of vintage creativity. Not every home has the space to build a traditional wine cellar, but a bit of creativity can open the door to other possibilities. The underground, spiral cellar, as pictured above, is one way to add a stylish centerpiece to your home that will undoubtedly create a unique experience for your guests. 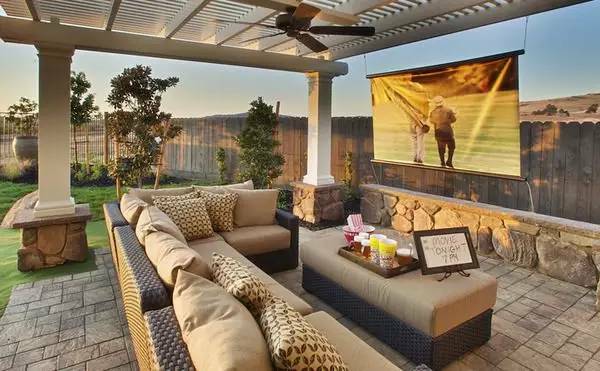 The indoor home theater is far from passé but building upon that experience with an outdoor theater can take your movie nights to the next level. The key to this design is versatility. If you live in a sun-kissed state you can construct a lightly covered space for viewings. An artful canopy or raised trellis can be the enclosure. Wetter or dustier climates pose a greater challenge, but a retractable awning is a multi-functional feature that can transform your yard into a private cinema no matter the weather. A delightfully warm spring in many parts of the Western U.S. has many folks brushing off their summer clothing early. While this is exciting for all who love the outdoors, public spaces like parks and beaches may be overcrowded. What better time, then, to focus on ways to maximize the space you have in your own home. There’s no one ideal way to design or set up your deck, but we’ve put together a few of our favorite ideas to help inspire your next redesign. Especially if your square footage is limited, tiering your deck into multiple levels is a great way to incorporate extra outdoor space into your home. By separating your deck into multiple levels, even slightly, you can create a cozy sense of separation between spaces. Give yourself options for privacy. Depending on your property, the base level of your deck may be below your fence-line. If you have a view you’d like to enjoy with your barbecue, consider a second tier. A simple way to save space and hassle is to build in your seating spaces during your deck’s construction. It’s important to consider what you will predominantly be doing on your deck. Lounging while reading? A corner bench is a great fit and can be outfitted comfortably. Potlucks and cookouts? Consider higher benches or fences with wide tops for easy plate placement. Consider your environment. If your deck will weather rain, sand, or wind consistently, don’t write off surfaces like brick and concrete, which can be framed as appealingly as wood or other stone. As the sun fades, your deck’s utility can shine or fade with it. Including discreet lighting within the construction of your deck is a small step that can pay huge dividends. Increasingly popular low-voltage systems have made a well-lit backyard and deck drastically more affordable. Depending on your location, solar powered lighting is a worthwhile investment that can help accentuate your stairs, fences, and other outdoor decorations.